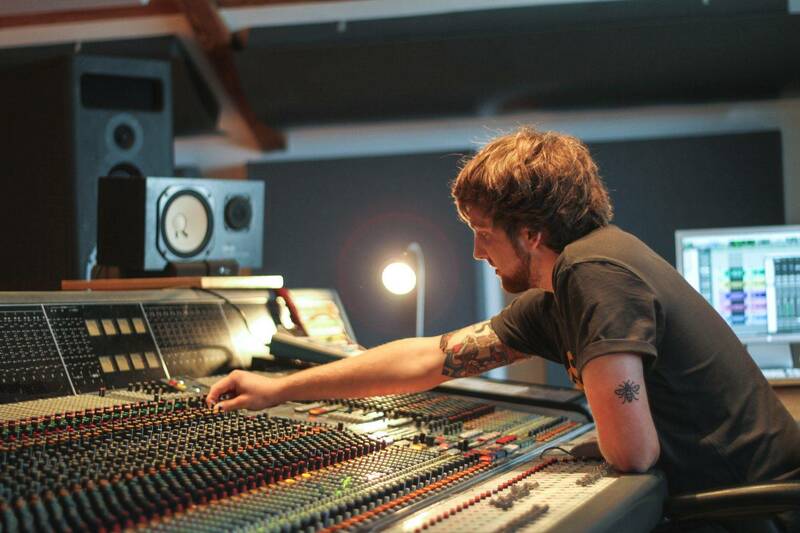 If you have the drive and the ambition to be one of the next great producers, Spirit Studios will help get you there. As a producer, you’ll need a huge range of skills and experience to build a successful and long-lasting career in music. And with our help, you’ll gain all of these skills and more, ready to make your mark on the industry when you graduate. With practical and industry-focused teaching in our professional studios, this course will expose you to everything from composing, arranging and producing tracks for a range of different media, to developing a clear and professional presence for yourself as a producer. Whatever your preferred style or approach to making music, at Spirit Studios you’ll have the freedom to explore your skills, expand your knowledge and grow as a producer, developing a portfolio that really shows what you’re capable of. With live industry projects and state-of-the art studios available to you, there is no doubt that with a passion for what you’re producing, you can achieve your creative goals during your time here. Through the study of a diverse range of practitioners and their work, you will explore creative techniques used in both composition and arrangement, from across different styles and genres of music. This module will allow you to gain inspiration from established producers, encourage you to explore alternative methods of creating sound, and help you to build up a portfolio of original and professional compositions. Developing your skills in recording, editing and mixing, this module will give you a key understanding of different microphone types and techniques, while also introducing you to factors affecting the recording process in either a live or location based setting. Through practical experimentation in the studios, you will then learn to assess the needs of individual sessions, and effectively use your setting to your advantage. Through the analysis of relevant online profiles, this module will introduce you to the importance of effective self-representation online, and creating original and targeted content to build up a significant following online. You will also gain skills in blogging, social media marketing and web-design, allowing you to develop a clear presence for yourself as a producer. Through further experimentation in the studios, you will build on your recording skills while also learning to effectively use both analogue and digital effects at different stages during the production process, to enhance your final mix. You will also be introduced to basic mastering and editing techniques, whilst continuously reflecting on your work to develop a deeper understanding of your work as an engineer. By developing original compositions while also working with existing materials to create an effective remix, this module encourages you to blur the lines between composer and producer while taking both a creative, and an objective view of your work and of others’. Working to an external client brief, you will develop a clear strategy to achieve the goals and requirements of the commissioning client. Assignments in this module will encourage you to think critically about your work, and use the skills and knowledge you have gained across other modules to create a product that meets specific criteria, and that you would be proud to present back to your client. Now confident in the running of recording and mixing sessions in the studios, you will have the freedom to fit the content of this module to your specific working needs. Focusing on further development of your skills, and refinement of your workflows, you will produce recordings to a professional-standard, applying advanced mixing and mastering techniques using industry software and hardware as you see fit. Exposing you to the range of career opportunities that are open to you, across the creative industries, you will gain a range of key skills relevant to entrepreneurship and self-employment as well as professionalism and employability. Concentrating on preparing you for work as soon as you graduate, this module will help you understand how different businesses function in the music and audio industries, and how you can find your place within it. This is the time where you test out everything you’ve learned through your degree, and you take your work to the public. Throughout this module, you will create an original project to a highly professional standard, whilst planning and managing its launch into the public domain. Focusing purely on your own creative goals, you can take your work in this module to a whole new level and take your first steps into the industry as a professional producer/engineer.